In the UK, the average consumer replaces his/her mobile phone every 18 months and it is estimated that over 15 million mobile phones are replaced each year in the UK. There are an estimated 45 million mobile phones in circulation at present in the UK, 817 million globally. 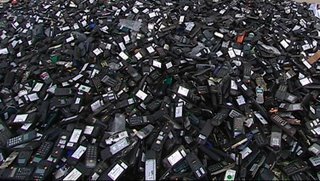 Approximately 77% of the population have at least one mobile phone, yet only 15% are recycled in the UK. 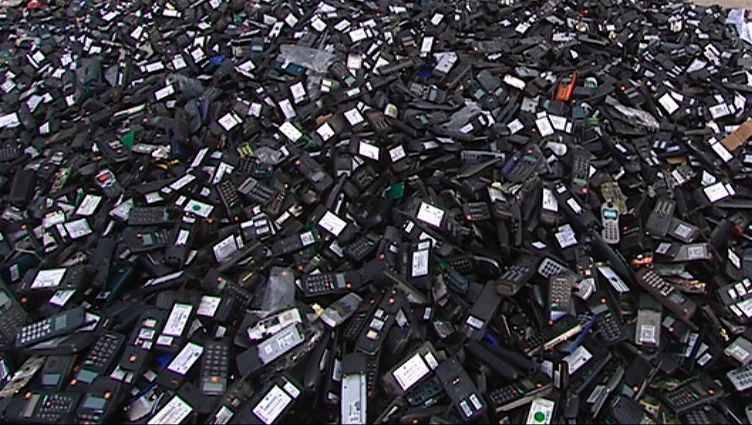 That's a lot of phones going to landfill where they become an environmental hazard by leaching dangerous toxins. Time to embrace the feel-good factor and ease the burden on your local landfill. Give them instead to a charity to be recycled for use in developing nations or traded for food and survival for the future. Some mobile phone suppliers will take your old one in part-exchange. If they don't, time to change your supplier. Give it to your granny. I seem to recall last time I changed phones I had to send the old one back to the company. Not that it mattered, since it had packed up (or "taken a dump" as the repairman put it, clearly a technical term) while at the Reading Festival. I think I'm due for an upgrade soon to a new phone with lots of cool hi-tech features that I'll never use. I'll see if I can donate my old phone somewhere that time.